HoloLens is about to go intergalactic. In a partnership with NASA, Microsoft is sending a few headsets to the International Space Station (ISS) for something called Project Sidekick, which will let astronauts go paperless by the end of the year. Currently, when an astronaut needs to complete a task, they take notes on what they’re doing and receive instruction from NASA by voice only. 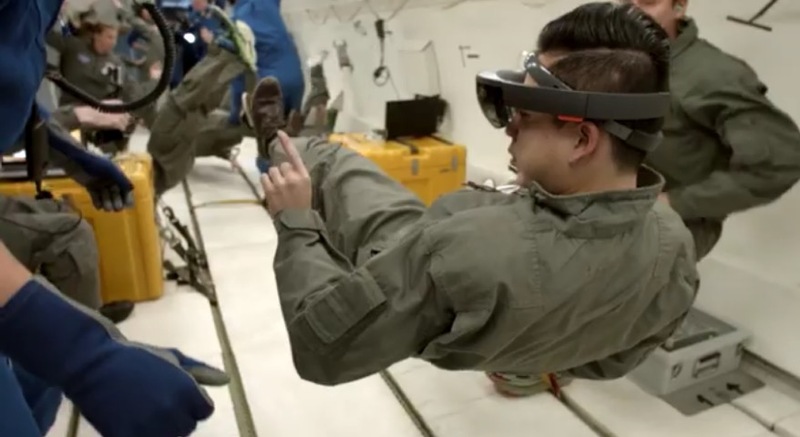 Project Sidekick uses the HoloLens to create an augmented reality so astronauts can receive more detailed instructions and see what needs to be done in the space (pun intended) they’re currently working in. Project Sidekick will have two modes, initially. The Remote Expert mode uses Skype to bring real-time annotations and allows NASA to see what the astronaut sees, while Procedure mode uses holograms on top of items which the crew may be interacting with. NASA says Project Sidekick “will be used and evaluated during the NASA Extreme Environment Mission Operations (NEEMO) 20 expedition set to begin July 21 when a group of astronauts and engineers live in the world’s only undersea research station, Aquarius, for two weeks.” While the ocean isn’t space, it’s a close representation and provides a “convincing analog”.